The top 10 most downloaded movies on BitTorrent are in again, 'Oz the Great and Powerful' tops the chart this week, followed by 'Parental Guidance'. 'Jack Reacher' completes the top three. 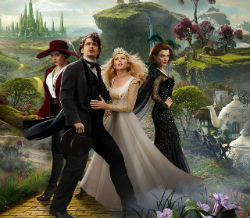 Oz the Great and Powerful is the most downloaded movie.